8010-18 Two Handle Kitchen Faucet 18"
Home » Kitchen » Kitchen Faucets » 8010-18 Two Handle Kitchen Faucet 18"
The Towson Two Handle Kitchen Faucet is an artistic and functional addition to the traditional Towson Suite. 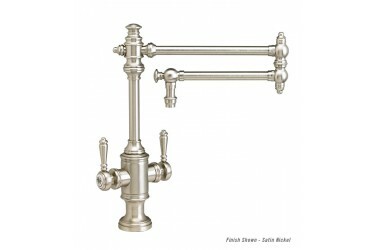 The 2 Handle Faucet gives your kitchen that vintage feel, but utilizes today's technology. The patent pending handle braking system ensures a perfect push and pull and prevents handle sag. Designed with a 18" articulated spout. The 19-3/4" spout reach allows faucet to reach all areas of sink. Spout can swivel 360 degrees. 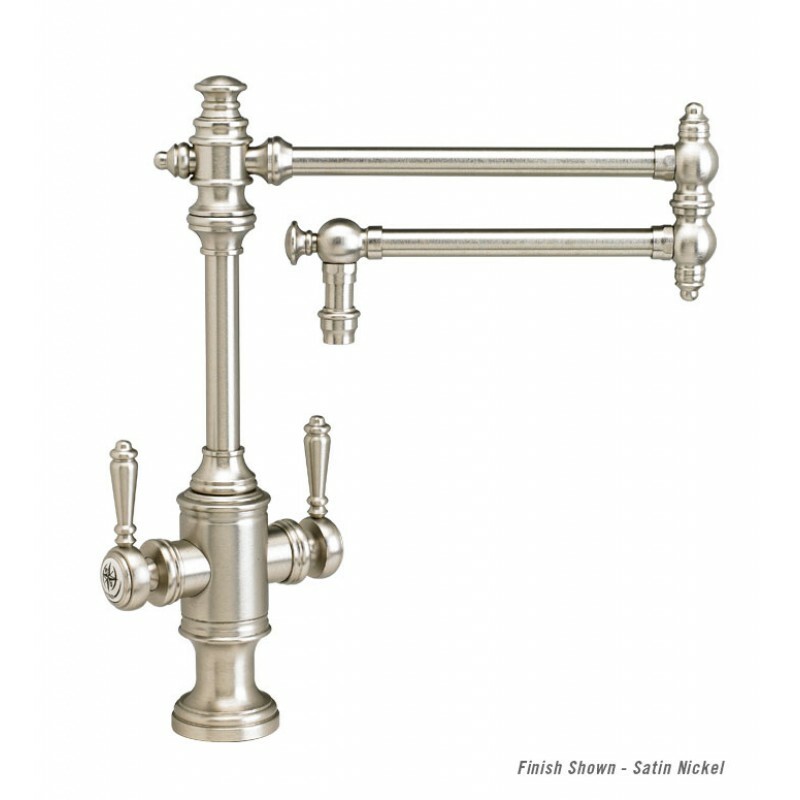 This double handle faucet is built from solid brass construction for years of durability. Make it a Suite by adding matching traditional accessories. The Towson Two Handle Kitchen Faucet comes with a built-in diverter for connection to optional side sink sprayer. Along with the side spray, the complete Towson Suite includes a soap lotion dispenser, garbage disposal air switch, and dishwasher air gap. Available in 32 elegant finishes. Compatible with reverse osmosis filtration systems. Towson's 2 handle kitchen faucet has a vintage look that will enhance the look of any traditional kitchen design. Lifetime Functional Warranty.